Last weekend was Father’s Day. In our house, no Father’s day is complete without steaks or a trip to the hardware store. My boys gave my husband this gift, bottled Coke, old fashioned Cream Sodas, & some Corona, plus some beef sticks, and (of course) steaks. Then off to the hardware store! Is it terrible to admit that we were going to the hardware store so he could buy wood to make me another flower planter? As we were wandering around the garden section (it was a beautifully sunny day, after all), we happened upon some huge barrels. 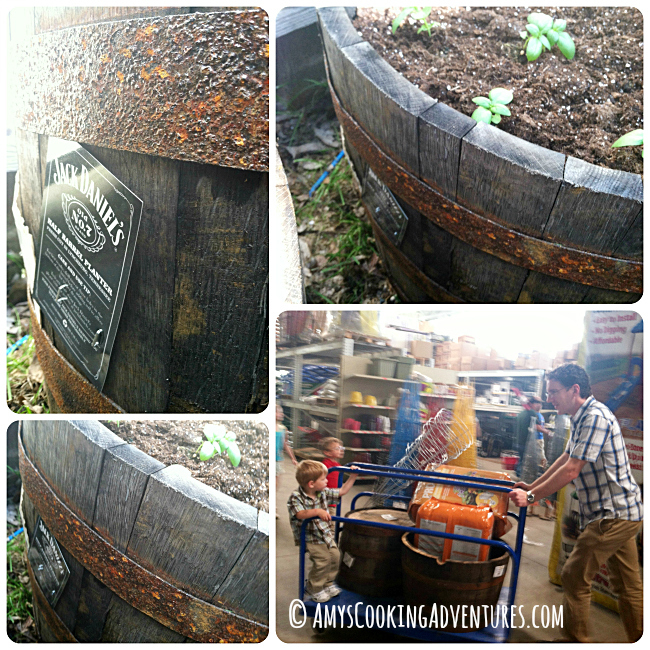 Jack Daniel’s barrels, on sale for cheap, to use as planters. So we hauled the barrels to the car (which now smells strongly of Jack Daniel’s) and found them a home in my garden. Now my tomatoes and bells peppers are living in them. And if you walk closely, you can stiff get a whiff of Jack. Huh, I wonder if that’s going to affect the plants at all? Jack Daniel’s tomatoes? It could totally be a thing. 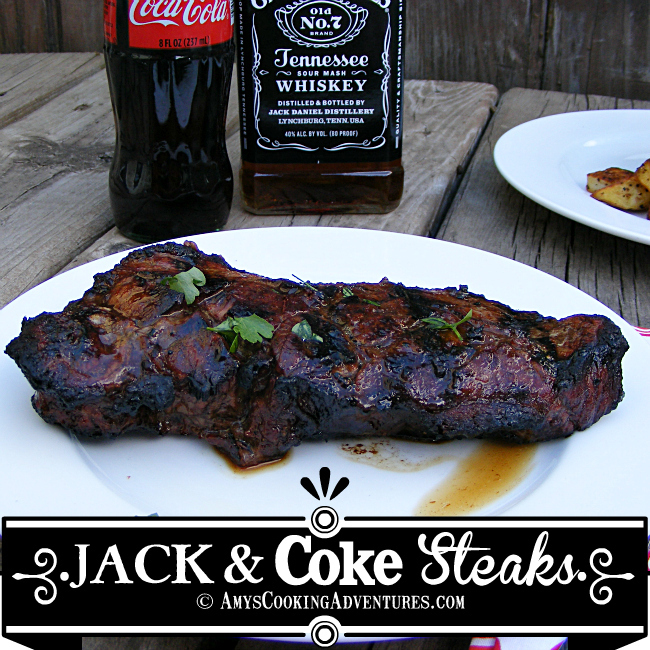 After getting so psyched about Jack Daniel’s barrels, I thought it only logical to marinate the annual Father’s Day steaks in Jack as well. 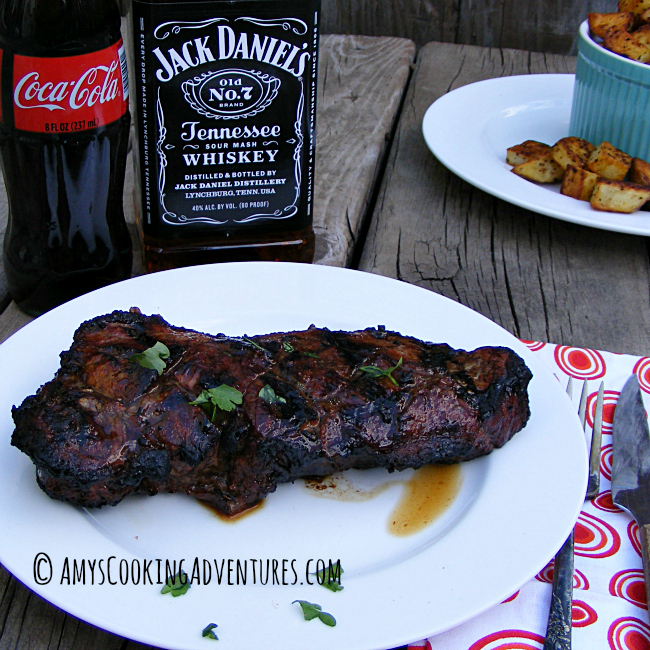 Plus all the Jack Daniel’s fumes from the garden gave me a hankering for a Jack & Coke. This boozy steak marinade makes a slightly sweet steak that is absolutely bursting with flavor. So whether or not you have Jack Daniel’s barrels residing in your garden, you’ll probably want to make these for the man in your life, asap! 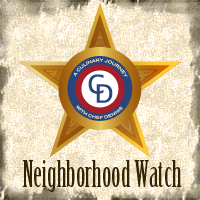 Use a sharp knife to score the tops of the steaks in a grid pattern about ¼-inch deep. Whisk together all of the marinade ingredients. Place the marinade in a zipper bag with the steaks and massage to coat. Place the steaks in the refrigerator for at least 2 hours or overnight (or freeze and the steaks will marinate as they thaw). About 30 minutes before cooking, remove the steaks from the refrigerator to bring them closer to room temperature. 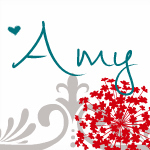 I am totally bookmarking and trying this, great job Amy! Brilliant way to use those old barrels. This sounds like an interesting recipe for steak. I would LOVE one of those barrels! What store did you find them? And that steak looks amazing! Ill take one of each please! You had me at Jack...:) looks so yummy!!! Saw you at Practically Functional! These look so good! Can't wait to try it! Visiting from Who Needs a Cape's link party!